What an appropriate quote from Edwin Teale to feature as the title for my Fall Reading List! I spend a great deal of time compiling each seasonal reading list for myself to share with all of my readers. These chosen titles I’ve assembled are books which hopefully fill the various genres for adult and young adult booklovers. This list likens to farmers in their fields ready to reap the benefits of their spring and summer efforts. I pour over countless reviews to decide which books I’m craving to read and optimistically worthy of your choice as well! I’ve added the three books from the Matthew Corbett Series by author Robert McCammon to read over the next few months. I fell in love with his book, Boy’s Life, many years ago. I’ve read nothing but praises for this series from McCammon. If I Stay by Gayle Forman is quite popular with Young Adults. The sequel, Where She Went, will be out in April 2011 so I recommend reading If I Stay – as you can see I have it on this list. Also, I’m looking forward to reading Book 2 from The Caster Chronicles, entitled, Beautiful Darkness, by Kami Garcia and Margaret Stohl. Are you a fan of the musical, Chicago? Then you surely won’t want to miss, The Girls of Murder City: Fame, Lust, and the Beautiful Killers Who Inspired Chicago, by Douglas Perry. Thank you to all who have visited my book blog over last several months. I have truly appreciated the compliments and words of encouragement from so many of you. The favorable remarks and the expressions of approval have given me the confidence to continue sharing book lists, my thoughts and my reviews of books with you the reader! Parker’s Read-Alouds for September – A Bakers Dozen! During the month of September these are the books you might hear me reading to children at my school library from pre-school through third grade. They are some of my “Tried and True” favorite read-aloud books. They are always well received by the students. If you’re ever looking for titles or authors try one of these below. You won’t be disappointed! For example, I’ve been reading, I Took My Frog to the Library, since it was published in 1990. I’ve read this for 20 years and never tire of rereading it. I hope you enjoy some of these titles! This is a fun spin to the original tale of Rapunzel! Rapunzel is trying to be rescued by the prince but she’s a bit hard of hearing. Instead of responding to, “Rapunzel, Rapunzel, let down your curly locks” (Falling for Rapunzel, Wilcox) Rapunzel sends the prince her “dirty socks!” The tale continues in this vein until the hysterical ending! The students loved listening to me read this rollicking read-aloud! It’s an enjoyable and entertaining version of Rapunzel! I enjoy reading this book each year to the children when they visit the library for one of their very first story times! It’s a wonderful story about the library and how one should behave while there. Young Bridget brings her pets: a hyena, pelican, frog, hen, pelican, and her elephant to the library. It’s when her elephant arrives that calamity and upheaval arise! This is a gem of a book! Since this book came out I’ve been sharing it with second and third grade students during their library/story time. As a mom I I recommend you have a Kleenex handy -just for yourself! Milo doesn’t see what’s so special about moms and in particular his mom. Moms make their kids eat foods that taste horrible. Moms’ jobs include taking their kids to soccer practice and parties. Oblivious to Milo there are those who would relish the thought of having a mom and they go to great lengths to obtain one unique and special mom! The kids always love a great baseball story and Mighty Jackie fits the bill for both boys and girls. This is a favorite read-aloud for my third graders at school! It’s great to read in the fall as the baseball season winds down or in the spring at the on set of baseball. This is a true account of seventeen year-old, Jackie Mitchell, who had an excellent throwing arm. She was so good Jackie was recruited by the Chattanooga Lookouts. In a special exhibition game on April 2, 1931, Jackie pitches against the likes of Babe Ruth and Lou Gehrig! Truly an inspiring story! B.B. Wolf, now retired, receives a very special invitation from the children’s librarian to attend a tea at the library. His friend, the crocodile reminds him he’s going to need to remember to mind his manners! This catchy little song, “Sip your tea and never slurp, say excuse me when you burp” is a pleasant reminder for B.B. Wolf. Young children love to join in throughout the book as B.B. Wolf adds to this reminder song. As you read through the story many of your favorite story book characters arrive at the tea such as The Gingerbread Boy, Little Red Riding Hood, and The Three Little Pigs! Add this to your read-aloud list! Whenever Miss Smith opens her enchanting storybook to read a story, Zack and the other students wait in anticipation because the characters literally jump out of the stories! Of course her students LOVE when Miss Smith reads to them! Then one day Miss Smith is late to school and the principal fills in. Unbeknownst to him the hidden powers of her storybook! He runs out of the classroom because of a fire-breathing dragon has hopped out of the book. Then the wild adventures ensue with the students and the storybook! This is a companion book to, My Little Sister Ate One Hare. This is always a great ABC and rhyming book to read aloud! Little Sister starts hugging animals beginning with an Ape until the rollicking finish when she hugs a Zebra! Fox can hardly believe his eyes when dinner comes knocking at his door – a pig!! 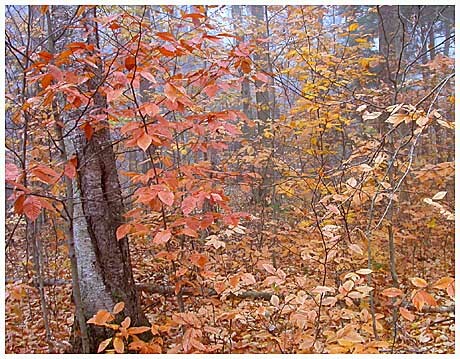 This funny trickster tale always has the students laughing as the pig outsmarts the fox! Julius Lester is a wonderful author and comes through again with his adaptation of “Little Black Sambo.” In this version everyone in the story is named Sam and they all live in Sam-Sam-Samara. Sam has gone shopping with his parents, Sam & Sam for new school clothes. Oh how colorful his new clothes are! His bright clothing catches the eye of some tigers he meets on his way to school. Now what has Sam up his sleeve to trick these unsuspecting tigers?! I always love to read this to 2nd and 3rd grade students! Its science project time for a young girl in third grade. Everyone seems to have a remarkable project – except her – until she discovers Professor Swami’s Super Slime! She now has a grand project but she disregards the fine print and what follows is quite funny!! Kindle Thoughts from 7th and 8th Graders! Here is an update from our Seneca Grade School 7th and 8th grade students who have been using the new Amazon Kindles for approximately two weeks in their Language/Literature classes. Patrick Mish, CEO of M-EDGE Accessories graciously donated M-EDGE Leisure and Latitude Jackets for our newly purchased Kindles. Pictures of the donated Kindles are found at the end of the article. The students have written letters of appreciation to Mr. Mish which he’ll be receiving next week. I thought you might enjoy what the students had to say about the Amazon Kindles, the M-EDGE Accessories Leisure and Latitude Jackets, and about Patrick Mish himself. I was quite proud of what the students had to say! The jackets keep the Kindles safe from scratches, keeps them clean, and safe. We are honored that we were given the spectacular Kindle jackets. Our school is very privileged to receive the donated customized covers. We love that the school name is embroidered on them. The dictionary feature on the Kindle is a favorite among many students. We love the text to speech feature on the Kindle! We enjoy how quickly a book you want to read can be downloaded. I like the Back Button feature on the Kindle. These are amazingly awesome and cool Kindle jackets! The Kindles will help to enhance our learning & the ability to change the font size is awesome. How did you (Patrick Mish) think of donating Kindle Jackets to our school? It was such a nice thing to do! Patrick Mish, YOU are a great person and your company must be AWESOME! The Kindle Jackets protect the Kindles. The pocket to keep the cord in is a great feature on the Kindle Jacket. I like that I don’t have to take the Kindle out of the jacket because it has the clear plastic cover over it. Patrick Mish, how did you come up with such a great idea? You are a genius! The Kindles and the Kindle Jackets MAKE READING FUN! I like the Highlighting feature on the Kindle. The Kindle is cooler than a book! The M-Edge Kindle Jackets protect the kindles from damage and fingerprints & we love that they are in our school colors. Karma Bites – Review and Book Giveaway Contest!! Words of wisdom to live by, spoken by Franny Flanders’ Granny. Think back to the time when you were in middle school. What thoughts, memories, experiences, and nightmares of middle school do you conjure up? Was it a time when you just quite didn’t know where you fit in with a particular group of kids? Were you constantly trying to “find yourself?” Thinking back to my days in junior high I experienced enjoyable times and moments of anguish. 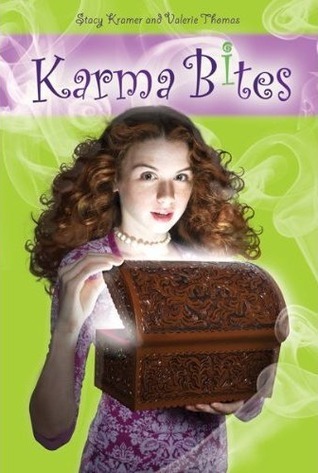 In the new book Karma Bites, by Stacy Kramer and Valerie Thomas, Franny Flanders experiences many of the normal timeless middle school drama but also some out of the ordinary occurrences! Franny is beginning her seventh-grade year. Her parents have decided to call it quits and she’s having a difficult time getting used to the situation. Her two best friends, Joey and Kate don’t associate with one another. Remember cliques and groups from middle school? Well, Joey is a “peak” which is the popular group and Kate is a “beek” which is a combination of a geek and a band member. Franny falls somewhere in-between, she’s a floater. She finds herself in somewhat of a state of limbo going back and forth between the two respective groups. To add to the mix for Franny, her hippie and unconventional Granny has moved in with Franny and her mother. Granny is quite the character! She’s into astrology, thinks she’s been reincarnated, and – she’s into magic!! Who wouldn’t want to be Granny’s grandchild?! On Franny’s first day of seventh-grade, Franny decides to dye her hair blond because of course, “blondes have more fun!” A quagmire of problems ensues because of this. Her hair doesn’t turn blonde but orange! Her mother who’s a writer is having writer’s block and is completely indisposed. Who else can she turn to? Granny! What’s the remedy? “Fix-It Formula” from her special “magic recipe box” which translate into a magic formula and trouble for Franny because there are “side-effects!” There is more chaos for Franny when she eventually tries to use the magic recipes herself to fix other problems. I enjoyed this story! I also liked how Franny and Granny’s relationship grew into something special since I had such a close bond with both of my grandmothers, Grandma G.G. and Noni! They were awfully extraordinary themselves! I found Karma Bites was a book even I could relate to because most of us as adults experienced what Franny did in what was called in our day – junior high. Middle grade students will connect with Franny because they are actually living through these encounters right now – minus the magic! Franny speaks her mind and shows that it is important to be true to oneself. This would also be a good book for a mother daughter book group. I’ll be recommending this to my middle grade students when they visit the library. Many already have seen me with book and have commented on its title and the intriguing cover of the book! This leads me to our first back to school library event and also for my book blog – my first preteen book giveaway contest!! To enter my book give away contest of Karma Bites, leave a comment at my blog of a junior high/middle school memory you’d like to share with others. For my students at school they’ll be submitting their names into a box for their chance to win a copy of Karma Bites by Stacy Kramer and Valerie Thomas. I’ll announce the winner next week. Good luck and happy reading!